CanadaVet.com Blog: Take Action Early To Avoid Flea Plagues! As the temperature begins to slowly warm back up it is important for all pet owners to make sure that they are using flea control. Pet owners who don't take action will find they are simply setting themselves up for a flea plague. Fleas and their eggs can survive indoors throughout the winter especially in a heated home as well as in the carpets, under furniture and in the pet’s bedding, etc. It is these fleas that are laying the eggs in the environment. As soon as the weather warms up, these eggs hatch all at the same time, causing a flea problem in plague proportions. 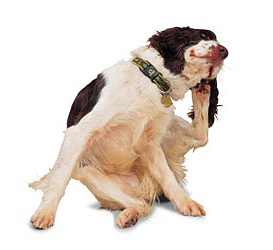 To avoid this happening to your pets, act early and get one step ahead of any flea problem that may arise. You will be rewarded by happier and healthier pets and not have the need to battle a massive flea plague all summer!